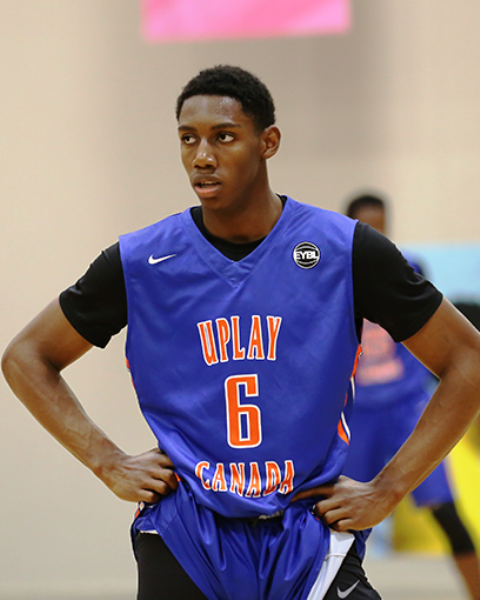 A smooth athletic wing who reclassified into the 2018 class, Barrett helped lead Canada to the gold medal this past summer and in the fall he will head to Duke. Barrett has a smooth skill side and advanced feel for the game and he utilizes both to create spacing off the dribble and to knock down perimeter shots off the catch as well. Athletically he’s got nice bounce vertically and he uses that to finish in a variety of ways through contact in half court sets and with ease in transition. Still developing and improvement, Barrett is far from a finished product so his best basketball lies ahead. Arguably the most explosive talent in the class, Williamson is immediate entertainment when he hits the hardwood. A powerful blend of speed, athleticism, explosion, length, instinct, and toughness, Williams can power opposing defenders in the paint, off the bounce, and in transition. A poster waiting to happen every time he touches the ball, Williamson is a double double machine and a blend of Larry Johnson, Rodney Rogers, etc. Like Barrett Williamson is not a finished talent so his best years lie ahead as he develops his perimeter skill set and ability to utilize his jumper with more consistency from all levels. A 6-8 plus length skilled wing with instincts, feel, and dominant scoring ability, Reddish can do a little bit of everything and he’s just getting started. Athletically he has bounce, a solid first step, and he can elevate through contact or above the crowd if needed. Skill wise his jumper can be made off the bounce or in a catch and shoot capacity from beyond the arc. His mid-range game is easy in that he’s smooth, can finish with either hand, and he can score in bunches in a variety of ways. 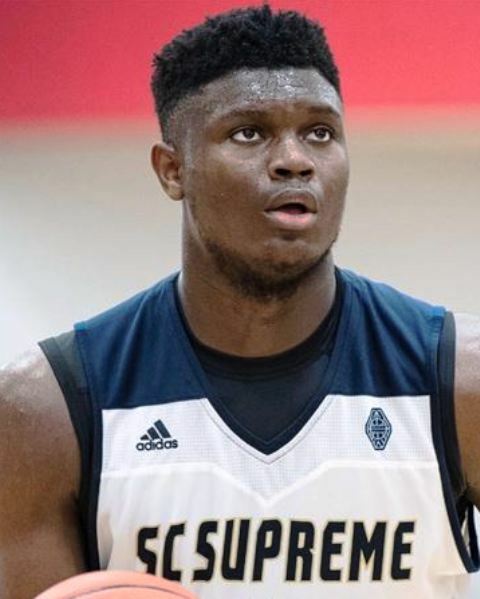 A versatile wing talent with that dude type potential big picture wise, Reddish is also headed to Durham and you can expect the Cameron Crazies will love him right away. The Ducks landed what some regard as the premier prospect in the country in the 2018 class as the 7’2” Bol had college coaches salivating about the opportunity to coach him. Equipped with ridiculous size and plus length the highly coveted forward is a shot blocking savant at times in terms of both his timing and his ability to alter shots from distances beyond the normal human reach. On the offensive end he can run the floor, he finishes around the basket, and has decent footwork and the ability to finish. He can face up at the mid-range area, he can stroke the perimeter jumper, etc. A matchup problem whose best basketball is at the next level, Bol obviously will need to add some strength to his frame in the coming years and continue to refine his skill package to reach his full potential. 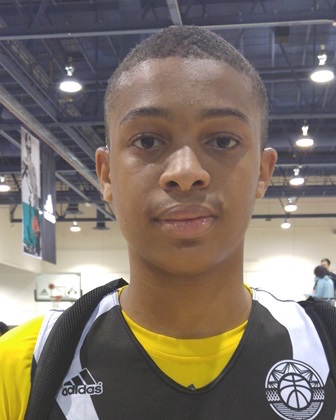 As skilled a scoring talent as there is in the class nationally, Langford has been doing it for so long that some just take it for granted how easy he can make it look. Athletically he has bounce and some quickness and he utilizes both to make the game look simple. His range extends beyond the arc and he can score out there off the bounce, spotting up, in transition, etc. His dribble drive penetration is smooth and he finishes with a variety of moves at the mid-range area or through traffic at the rim. He can drop a 40 piece on you quick and if you challenge him a poster is not out of the question. An exceptional scoring talent with advanced skill and instincts above most in the class. The Texas version of Romeo Langford and possibly one of the more electric scoring talents in the class, Grimes has major game. Equipped with a 6-5 plus length frame, explosive bounce, a smooth ability to change gears, handles, strength, and a perimeter stroke that rips the nets at each level, Grimes is that dude on the hardwood and the Jayhawks could very well have the best scoring talent in the class big picture wise. Whether he fits that bill or not is yet to be determined but Grimes has jumpers, fade a ways, poster dunks, smooth finishes with either hand, etc. Defenders jump against him at their own peril and opposing guards can’t stop him they can only hope to contain him. Truth be told, that’s not happening as Grimes has special type potential at the next level and he’s must watch basketball whenever he’s on the floor. Years ago we ran one of our Generation Next All-Star Camps in Minnesota and a 1st grader joined his older brother during the drill work and impressed throughout. At the time you could already see the talent in terms of how smooth he was and many years later that same 1st grader just quietly followed in his brother’s footsteps to become one of the best talents in the country. Yes Tre has been at it for many years and while many focused on Tyus and his ability, Tre was always a talented basketball player in his own right. The past 12-18 months he really hit his stride and the end result has been dominant performances creatively and scoring wise while displaying a versatile and advanced skill package and a jumper that can rip the nets at every level. Headed to Duke, Tre has continued his progression and don’t be surprised if he has some excellent results in Durham because this young man can really play and he makes everyone on the team better every time he steps on the court. One of those blue collar do a little bit of everything forwards, Shittu was sensational at the NBPA Top 100 Camp and the talented forward caught the attention of many with a solid spring and summer campaign. Equipped with some power, plus length, decent bounce, instincts, etc. Shittu can control the glass, alter shots, finish around the basket, finish in transition, etc. His vision and play making ability is underrated and around the basket it doesn’t matter the situation Shittu will fight and find a way to get extra looks and extra finishes. He makes things happen on both ends and he steadily is willing to compete. There’s some old school to Johnson’s game in terms of how he finishes and creates various angles to do so. A talented scoring wing who embraces the moment and plays with energy and some flair, Johnson brings multiple skills to the table and he scores using every one of them. He’s not explosively above the rim 24/7 type athletic but he’s athletic enough in that he can elevate and punch out when needed and he can utilize his bounce to score as well. He has all the tricks, he has a step back, he can break you down and finish, he can spot up, he can attack off the bounce and finish in traffic, he can hit the one dribble pull up, he can counter if you take away his first move, etc. The reality is he has a variety of scoring options at his disposal and during the course of the game he can and generally will use every one of them. 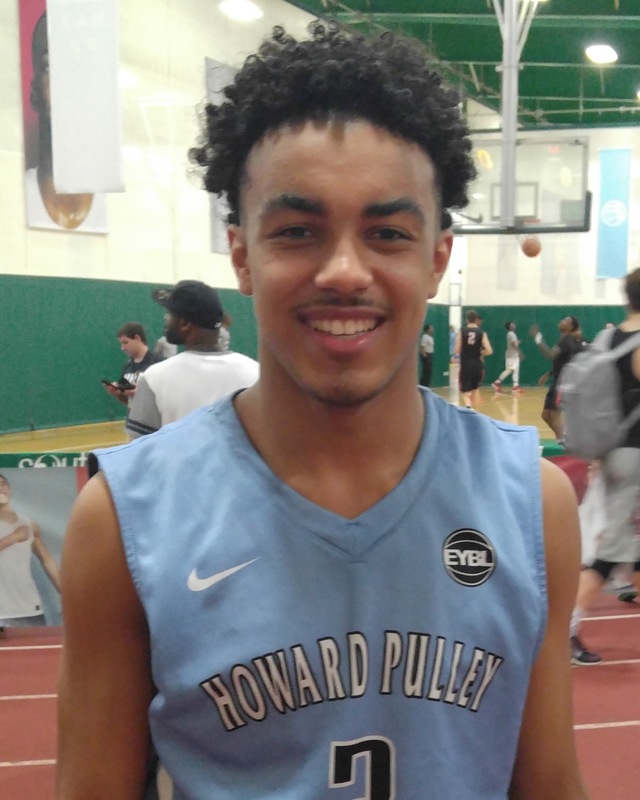 We have him higher than some boards but personally I absolutely love what Garland brings to the table and that was evident as he delivered a huge performance in early April at the annual NY2LA Sports Swish N’ Dish tournament. Garland handles the ball on a string, he has excellent vision and timing on his passes when he’s locked in, and his perimeter stroke is smooth and lethal from beyond the arc. Garland can just take over and make the game look too easy for both himself and his teammates and with added strength and explosion at the next level he should really come into his own. His ability to finish off the bounce at multiple levels is impressive and creative and collectively he has a strong offensive package to make for a highly intriguing talent at the next level. Really enjoy watching him play.